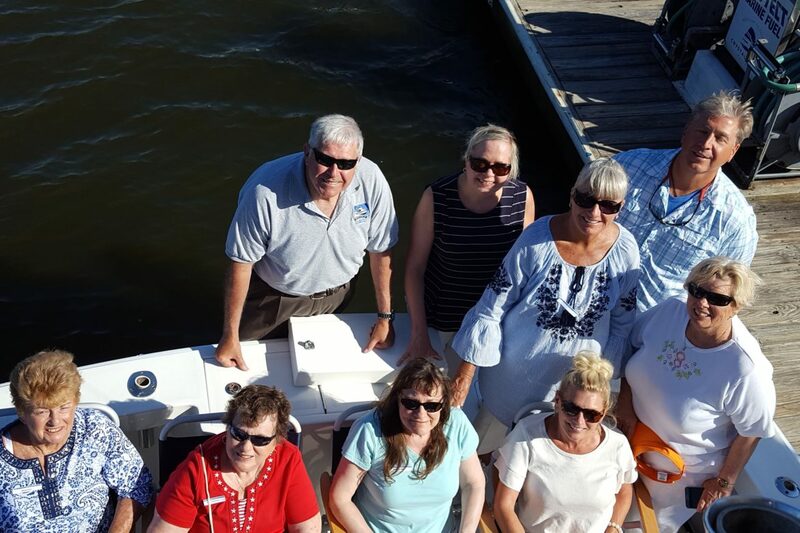 Patients of Dr. Theodore Lygas of Breast Surgery and Breast Oncology got a special treat recently when Dr. Lygas invited them aboard his boat for an evening of celebration. Dr. Lygas’ practice has offices in Brick, Toms River and Barnegat. This year, patients from Brick, Toms River, Marlboro, Pt Pleasant, Forked River, Manahawkin, Lavallette, Howell and Barnegat were selected to celebrate the gift of life on the “Cancer Cruise” with Dr. Lygas and his staff. These “Cancer Cruises” bring breast cancer survivors on a 40 foot sport fisherman boat for a cruise on the Manasquan and Metedeconk Rivers and Barnegat Bay. Special guests get not only an evening of fun, but also a make-over by Karan Geist, an esthetician at the Atlantic Club, a massage by Lynette Cupola and a meal at local restaurant Harpoon Willy’s for dinner. “One of the most traumatic events in a woman’s life is to be diagnosed with breast cancer. Many feel that they will not live to see children or grandchildren graduate marry or enjoy a long life with spouse or partner. Fortunately, with modern treatment of breast cancer these fears dissipate when their cure is achieved,” stated Lygas. Dr. Lygas is now accepting new patients. For more information or to schedule an appointment, please call: 732-458-4600.